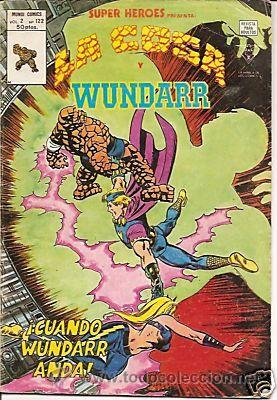 SUPERHEROES VERTICE V2 Nº 122 LA COSA Y WUNDARR, SEÑALES DE USO BUEN ESTADO. SUPER HEROES. VOL 2. Nº 122. LA COSA Y WUNDARR. VERTICE. Oficial Time TC: 20:43:24 TR: 149 ms.